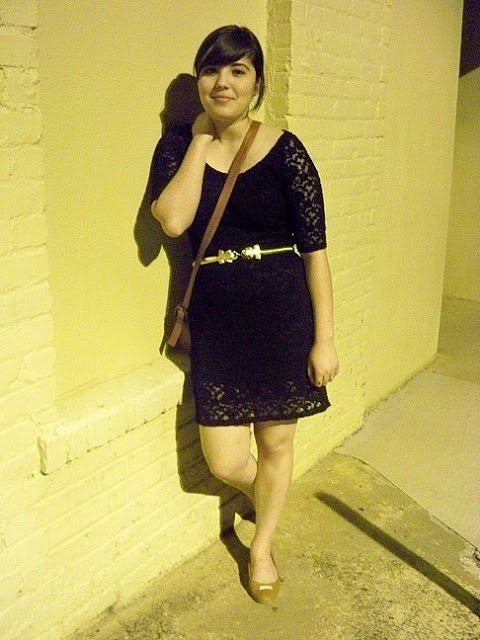 Here's what I wore Friday night downtown. I found this dress a couple months ago during my streak of good finds at the thrift stores near my old apartment, and had been saving it for when the weather got a little cooler. I'm not sure how old the dress is but I love its lace overlay and sleeves -- perfect for our night out. It's a kind of dress that I had been wanting for awhile, so it was hard to believe that I thrifted it because it seems so on-trend right now. If I could re-do this outfit, I'd switch out the shoes and bag because I wear them all the time, but at least I was comfortable. Hope you're having a great Sunday! I'm hoping I can convince Jeremiah to tear away from the couch and football analysis to go thrifting with me. What a gorgeous, gorgeous dress. I can't believe that's a thrift find! I never get that lucky. It looks fabulous on you! HI Joann...you are gorgeous as EVER in this thrifted dress......YAYYY for thrifting!!! I'm searching for a perfect lace piece for fall. This dress is perfection! 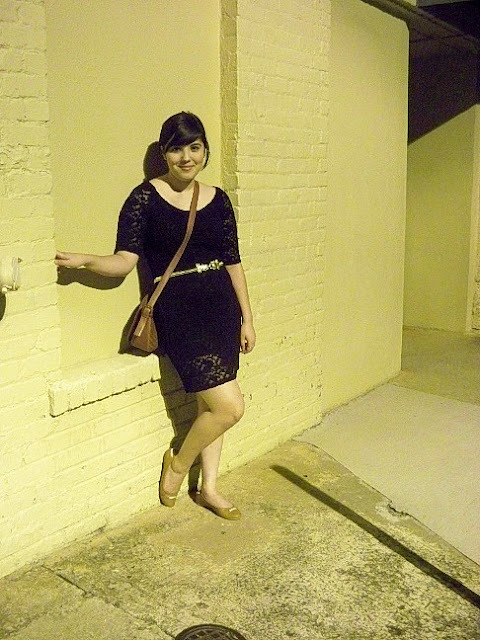 Your date night outfit is so cute! The lace is amazing! Such a lovely color, and what pretty night shots. You look divine, lovely! GORGEOUS! I love the dress and it's perrrrfect with that belt. Great date night look! I love the black lace-- the texture makes your little black dress so pretty! LOVE LOVE LOVE thsi black lace dress! Its perfect for you! I have a similar outfit and cant wait to wear it again soon!! You don't usually wear such body con stuff but you look really nice. I love this! You look fabulous, as my 4 year old would say. Um Joann, this is so freakin' sassy and awesome. I just LOVE it! !